They are flying flags at half-mast in Arizona again for a felled political icon. Unlike the late Sen. John McCain, this long-time public servant was not known for a maverick pugnaciousness but for a low-key and almost old-fashioned behind-the-scenes style of leadership. 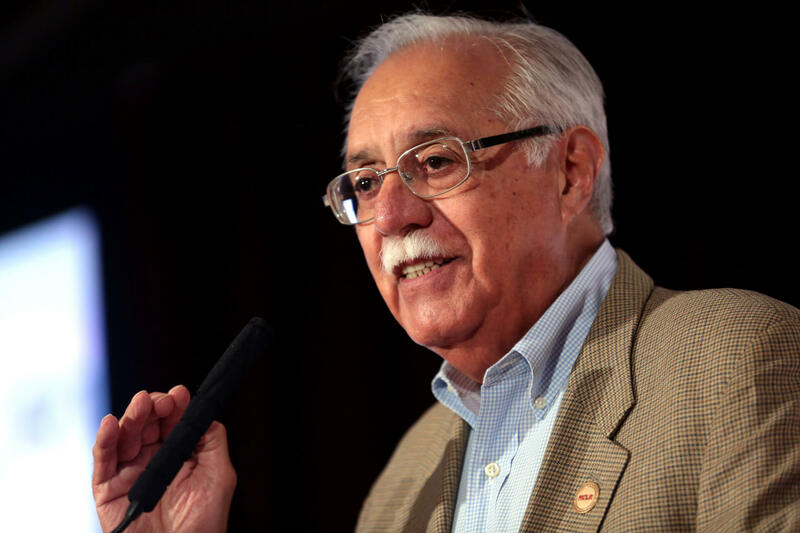 Former Congressman Ed Pastor died Tuesday. He was 75. The first Mexican-American elected to Congress in his home state, Pastor was born in Claypool, Arizona, a community sandwiched between the once-bustling mining towns of Miami and Globe, about an hour’s drive east of Phoenix. He served 23 years in Congress before retiring in 2015. Despite growing up in the days of tumultuous Chicano Movement, Pastor built a reputation over nearly four decades in elected office – he was a Maricopa County supervisor prior to being a congressman – as someone who preferred working within the system to get things done. It’s a trait he may have absorbed from his one-time mentor, Gov. Raul H. Castro, Arizona’s only Hispanic governor. Pastor served in Castro’s administration in the mid-1970s. Esther Lumm, a community activist and close family friend, met Pastor as a campaign worker during his first run for the Maricopa County Board of Supervisors. He was elected to the board in 1976 and served until his run for Congress in 1991. What Pastor got done was reflected in his knack for bringing federal public project dollars to Arizona’s 7th Congressional District in the urban areas of Central and South Phoenix. In a lot of circles, that’s called pork-barreling. In Pastor’s world, it was called bringing home his constituents’ fair share of the federal taxes they paid. Pastor was known as a unifier who abhorred wedge politics. In an era of breathless, around-the-clock news coverage and vitriolic hyper-partisanship, the image of Pastor as the kind of person who was willing to work across the aisle almost sounds fantastical. Who does that? Pastor did that. It’s a philosophy of governance and public service that played out in his relaxed, open camaraderie with Republican leaders like Sens. McCain and Jeff Flake, no matter that he usually disagreed with them on a broad range of issues. Pastor didn’t march in the streets. He rarely held press conferences. He was the furthest thing from a cable news darling. There’s room, of course, for all of that. Congressmen Raúl Grijalva and Ruben Gallego are among my favorite Arizona politicians because of their willingness to speak truth to power vociferously in defense of our country’s most principled ideals. But our political system also needs the Ed Pastors of the world. The so-called servant leaders who approach the job of representing us in Congress with a journeyman’s patience. Journeymen spend their lives honing their craft and almost always work for someone else. In Congress, that “someone else” is supposed to be us, not the extremes of a partisan base, and certainly not high-priced lobbyists. Pastor lived by example. The son of a miner, he was a de facto role model for many Latinos both in Arizona and nationwide. But in the same way that he crossed partisan bridges, he worked hard to traverse cultural barriers.